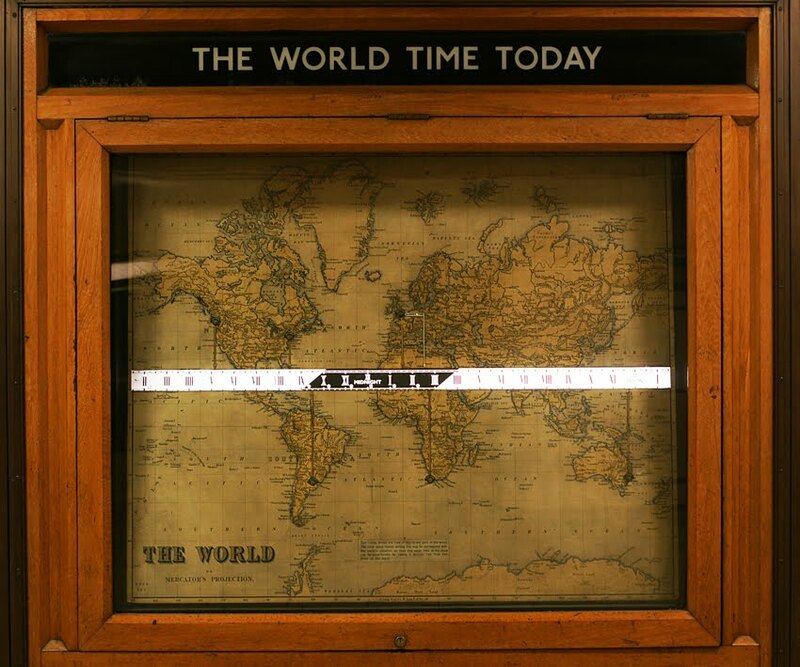 Although I've used Piccadilly Circus tube station for years, I'd never been quite far enough round to notice its world clock, so thanks to Tired of London for pointing it out. The station was opened in 1906 and refurbished in 1925-28 by architect Charles Holden. Part of the updating was the installation of this clock with its band moving to indicate the time around the globe. It shows solar time, and is thus not entirely accurate as an international clock since time zones only broadly follow longitude. Holden has left his mark on many Piccadilly Line stations. However, this clock must be among the most satisfying details he included. Last time I made a blog-worthy journey through the Thames Tunnel, I was walking; not much chance of that any more, as the East London Line has now reopened. Yesterday was the first full day of operation (the opening on Tuesday was covered by IanVisits, Londonist, Diamond Geezer and, with exemplary brevity, London Reconnections). I may not have had the music and Bollywood dancing of the official opening, but the generous number of staff on hand at every station made it obvious that we're still in the honeymoon period for this shiny, rebranded, revamped and extended service. It's great to have the line running again: my commute is now much shorter. 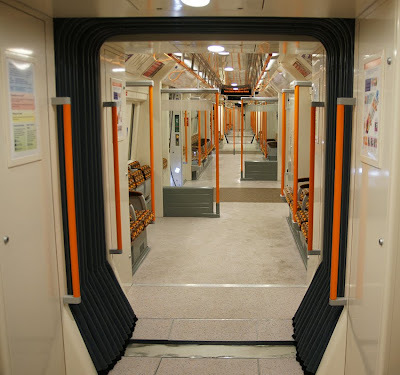 So what are the new trains like? There were plenty of seats for my journey, though, and it was very fast and comfortable: there's even air conditioning. Inside, no division between carriages means one bright and open space - especially bright on the above-ground sections of the line, of course. The new northern section is particularly useful for the Geffrye Museum: enjoy a rather good view of it from the platform at Hoxton! Everyone on board seemed excited by the new service: a lovely change from the usual silent, gloomy commute. He's the subject of an extremely famous quotation, 'Dr Livingstone, I presume.' However, most of us probably don't know a great deal more about this celebrated Victorian, now to be seen looking over Kensington Gore from his vantage point on the Royal Geographical Society walls. David Livingstone, missionary and explorer, spent his childhood working in a Scottish cotton mill but on his death, was buried in Westminster Abbey. This extraordinary progression began with his attendance at the company school each evening - after a twelve-hour day spent crawling among cotton spinning machines, joining broken threads. He learned enough to enter university in Glasgow, where he studied medicine while also attending theology lectures. His aim had always been to become a medical missionary, and Livingstone moved to London where he began training as a missionary alongside his medical studies. He moved to southern Africa in 1841. There, he began his exploring activities too and in the 1850s became one of the first Europeans to cross the continent from the Atlantic to the Indian Ocean coast. Famously, he was the first European to see the Victoria Falls, as he named them (they were already well known to local people as Mosioatunya). In 1856, Livingstone returned to London to receive a gold medal from the Royal Geographical Society to whom he had sent despatches recording his explorations. However, the London Missionary Society was concerned that his exploring had overtaken his missionary activity, and he resigned from the organisation. His return to Africa the following year would be as Her Majesty's Consul. 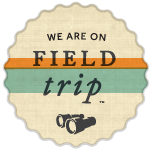 They would sponsor an expedition to the River Zambezi, whose aim was to discover the resources of the area. However, Livingstone's leadership was heavily criticised by fellow expedition members: the physician John Kirk described him as 'out of his mind and a most unsafe leader'. Livingstone died in May 1873, in present-day Zambia. His heart was buried underneath a tree there, but his body was returned to Britain for the funeral in Westminster Abbey. It was marked by a day of national mourning for this very Victorian hero. From our perspective, it's easy to mock Livingstone: he apparently only converted one African to Christianity; he thought he'd identified the source of the Nile when it was actually the upper Congo; his 'discoveries' were of course already well-known to plenty of Africans; and his activities for the government took place in the context of the imperialist 'scramble for Africa'. However, there are features of his story which we can still admire: his incredible rise from humble beginnings; his anti-slavery activism; his emphasis upon learning local languages and cultures; and his devising of an effective remedy for malaria, manufactured until the 1920s. Now that the sun seems to have disappeared again, here's a reminder of summer treats to come: strawberries. These are rather special ones too, coming from Plougastel in Brittany. Their renown was such that in the nineteenth century they were sent by boat to England and by train to Paris. The cultivated strawberry is a surprisingly recent addition to our summer diet: naval engineer Amédée François Frézier brought its ancestors from Chile to France in the eighteenth century. He was part of an expedition to spy on Spanish ports, but found time to discover the 'blanche de Chile' (Chile white) strawberry. These exotic plants were given to the royal gardens and the botanical garden in Brest before reaching the Plougastel peninsula. The local climate is especially suited to their cultivation, similar to their native weather. However, the fruit were originally white: only after the plant was crossed with a native strawberry was the large red fruit we're familiar with created. Thus Plougastel is the historic home of the cultivated strawberry, and was until the Second World War one of its major producers. Although Plougastel lost its pre-eminence in the twentieth century, its fruit are still famous in the region and there is even a strawberry museum. Well, I promised an occasional series - so after six months, here's episode three. This fine milestone stands on Kensington Gore, and looks suitably ancient with its pointing fingers and slightly pedantic directions. The date on top, 1911, confirms that it's almost a century old: venerable, but perhaps a little more recent than we might expect. 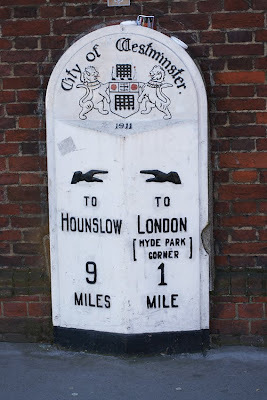 Milestones have been around since Roman times, and really enjoyed their heyday in the late eighteenth and early nineteenth centuries when they were legally required along turnpikes. 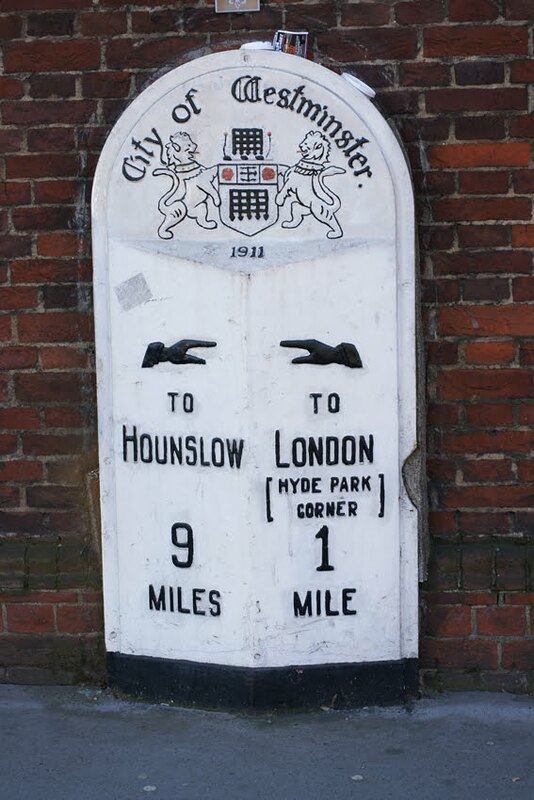 As well as giving directions, their marking of distances helped coaches keep to schedule and were also used to calculate postal charges before 1840, when these were based on distance. It was also during this period that cast iron largely replaced stone-carving, often with the iron plates set into older stones. This late example was erected after responsibility for highways was moved from turnpike trusts to local councils. The councils tended to prefer these triangular, cast iron posts to the stone markers favoured by their predecessors. However, even as a relative youngster the milestone has had to survive various perils, not least the removal or defacing of such signs during the Second World War in order to confuse the enemy in case of invasion. Passmore Edwards was a nineteenth-century philanthropist, evidence of whose work still survives in the East End. 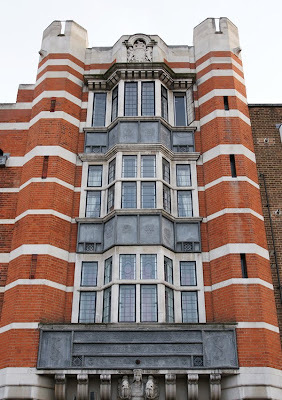 Half of the Whitechapel Art Gallery facade still bears the name 'Passmore Edwards Library'. 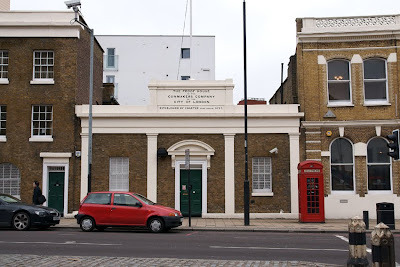 Further east in Limehouse is the Passmore Edwards Sailors' Palace, built in 1901 as the headquarters of the British & Foreign Sailors' Society. 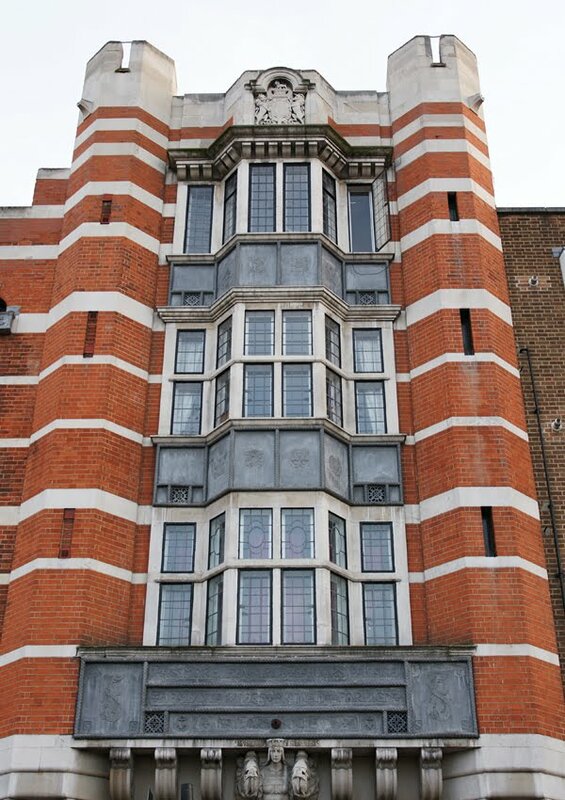 An inscription above the door still records the fact, although the building itself has been converted into flats. Other decoration reflects the nautical nature of the Society: a woman, apparently Britannia, holds two ships, while cherubs blow wind into their sails; the names of the continents are carved below her, framed in loops of rope, while the Latin names for the North, South, East and West winds are embossed above. The architects of this eye-catching building, described by Pevsner as 'unusually pretty', were Niven and Wrigglesworth. They seem to have had an appropriately maritime flavour to their practice, since they also designed the interiors of Castle Line ships. The Society received a christmas gift for their new building from the German Emperor: a large portrait of himself. (He was not alone: the rulers of Russia, Japan and the Netherlands gave similar gifts.) Welcomed at the time as 'an expression of goodwill and peace on the waters', one imagines that it soon fell out of favour! The work of the Society extended far beyond London's East End: it also provided services in 118 overseas ports, including Port Said, Bilbao, St Petersburg and several in Canada. Indeed, it had as its object 'the religious, intellectual, and social elevation of British and foreign seamen, both in home and foreign ports.' As well as providing free beds and meals for needy sailors, its work included religious and temperance activities. Even the Sailors' Palace served multiple functions: it was also a short-term hostel for sailors, apparently known for the quality of its accommodation. 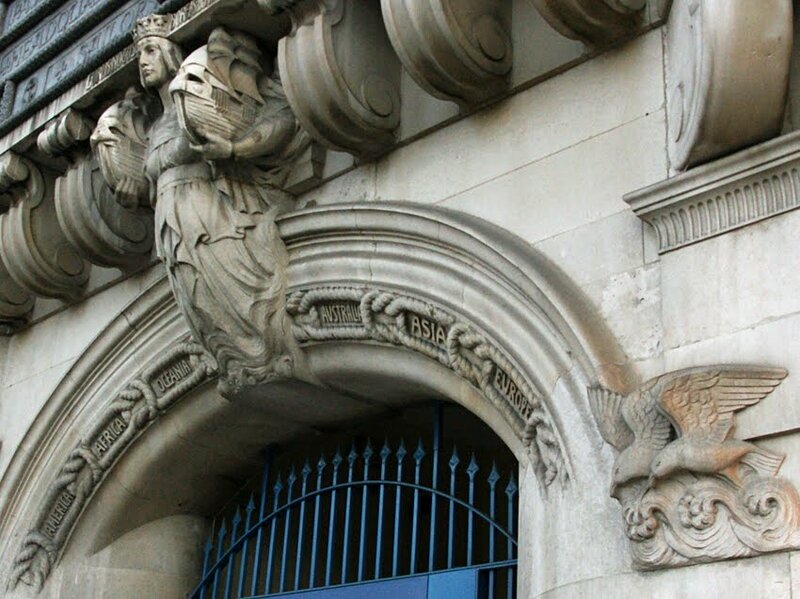 The building housed the King Edward VII Nautical School and offices of the Shipmasters' Society, too. 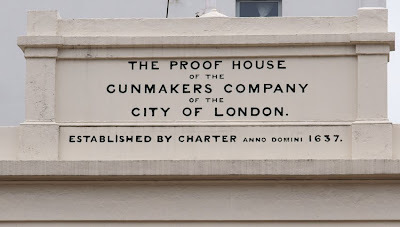 THE PROOF HOUSE OF THE GUNMAKERS COMPANY OF THE CITY OF LONDON. ESTABLISHED BY CHARTER ANNO DOMINI 1637. 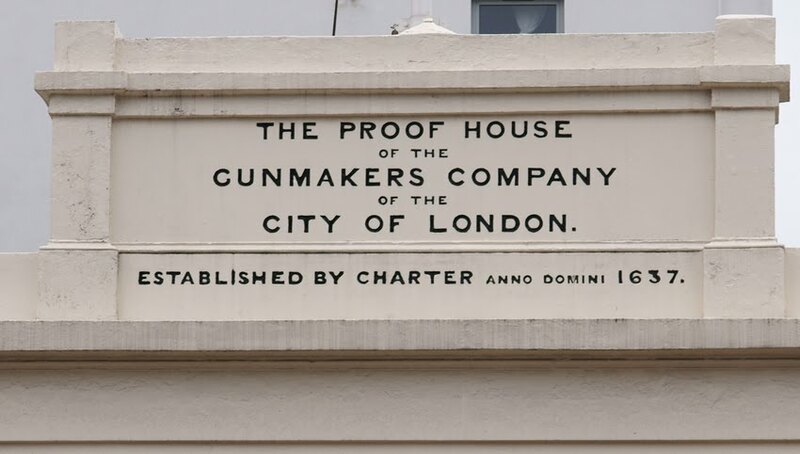 I'd assumed that it had probably been converted into offices, or even flats, long since but the Gunmakers' Company website confirms that it is indeed still a proof house. So what does it do? Well, it's clearly something best kept outside the City: why else would one of the City of London companies have premises outside the city walls? Sure enough, it is a place where guns are tested - and the less reliable weapons of earlier years could be dangerous to more than their target. The current building of 1757 replaces one damaged by repeated explosions. By law, all gun barrels have to be tested; they also have to be retested after undergoing structural modifications. This is done in three stages: first, there is a physical examination which includes measuring and gauging the barrels. 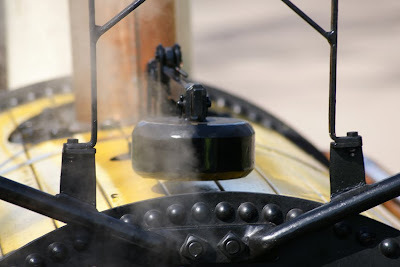 Then the gun is fired, using a special cartridge to generate more pressure than should be experienced in normal use. Given the as-yet unproven state of the weapon, it's reassuring to read that it is fired remotely in a closed chamber! The bullet is caught in a 'snail', a hardened steel spiral. Finally, provided that it has passed these tests, the gun receives a proof mark. There is one other Proof House in England, in Birmingham. It was established in 1813 and also continues to operate today, as well as having a museum open to the public. Dr. Roberts, Medical Officer of Health for Deptford, has reported to the District Board that the occupier of a house in Blackhorse-road, Deptford, kept a horse in the kitchen at that address. The Board resolved to serve a notice to remove the animal. It wasn't the real Stephenson's Rocket pulling a carriage in Kensington Gardens: that now lives, safely but stationary, in the Science Museum down the road. However, a replica moved into the park for the easter holidays, offering the chance to take a short ride. The carriage was third-class, meaning there were no fancy features like seats or a roof! 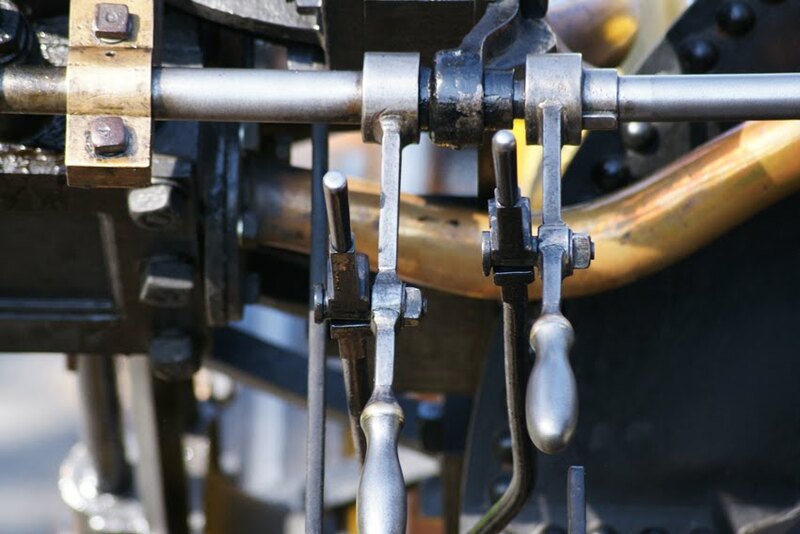 The Rocket wasn't the first locomotive - Richard Trevithick's Penydarren Locomotive was on the move even earlier - but it was the model for those which came after. George and Robert Stephenson brought together the best features of various predecessors, and were confident enough in its abilities to enter it into the Rainhill Trials. This event was designed to choose the locomotive type for the Liverpool & Manchester Railway; Rocket won it, not least because it was the only competitor which didn't break down. Drama followed: the opening of the railway was a big event attended by the prime minister, the Duke of Wellington, along with other dignitaries. One of those, Liverpool MP William Huskisson, was so caught up in the excitement of the day that when the Rocket came bearing down on him it struck and killed him - he wasn't quite the first railway mortality, but certainly the earliest to be widely reported. The age of steam borrowed from the age of horsepower. The Rocket was yellow because that was the colour of stagecoaches, so it suggested speed; the first-class carriages looked very much like their horse-drawn counterparts. 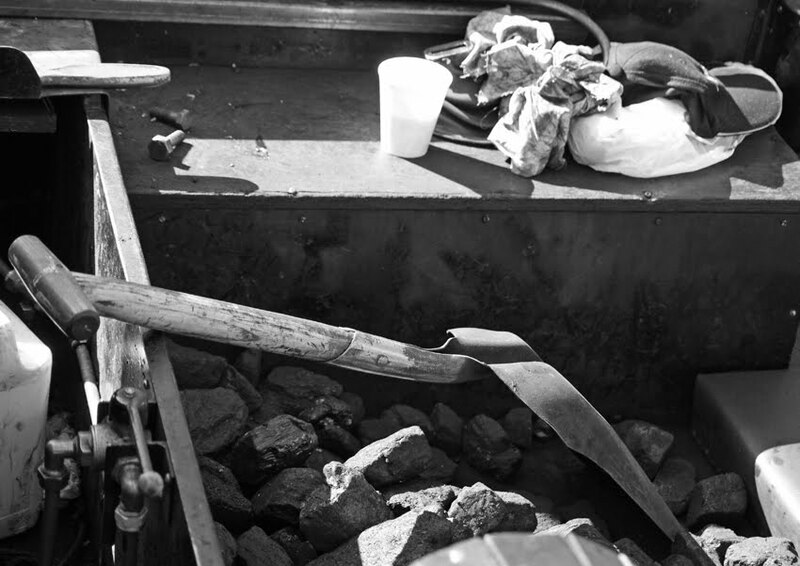 Arrangements for coal and water were more informal than in later versions, too. The replica which visited London was built in 1979, for the locomotive's 150th anniversary. It's based in the National Railway Museum at York, so this was an unusual opportunity to see it in the capital - even if we could only travel third class. We're all familiar with Big Ben,* Nelson's Column, the London Eye... 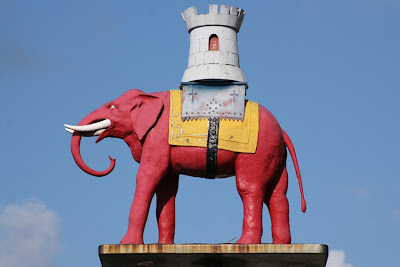 But London is also scattered with more local or off-beat landmarks. I do like the very literal elephant and castle standing guard at the otherwise hideous Elephant & Castle shopping centre. Do you have a favourite? *Or at least its Clock Tower! I've always loved the way that in many metro stations in Paris, the tiling scheme includes bespoke frames for posters. It was great, then, to happen upon an information board explaining their history: advertising was a planned feature of the metro from its very beginning. When the Nord-Sud company opened its network in 1910, it included these ceramic frames in its stations. Its competitor the CMP followed its example in 1922. I couldn't resist the advertisement for Breton strawberries in the picture above. Some details from various frames are illustrated below. The Master Shipwright's House is for sale (sadly it's a million or five outside my budget...). There's an election hustings for Lewisham Deptford, organised by No2ID and Power2010: 5pm this Saturday at the Utrophia Arts Project, Tanners Hill. 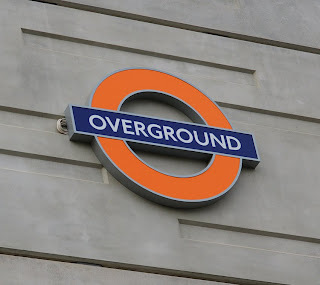 The East London Line should open early, on 15 April. The service will be a limited one for 'live testing': there's lots more information on the ever-informative London Reconnections. The East London Line 'soft launch' has been delayed (possibly until next week). 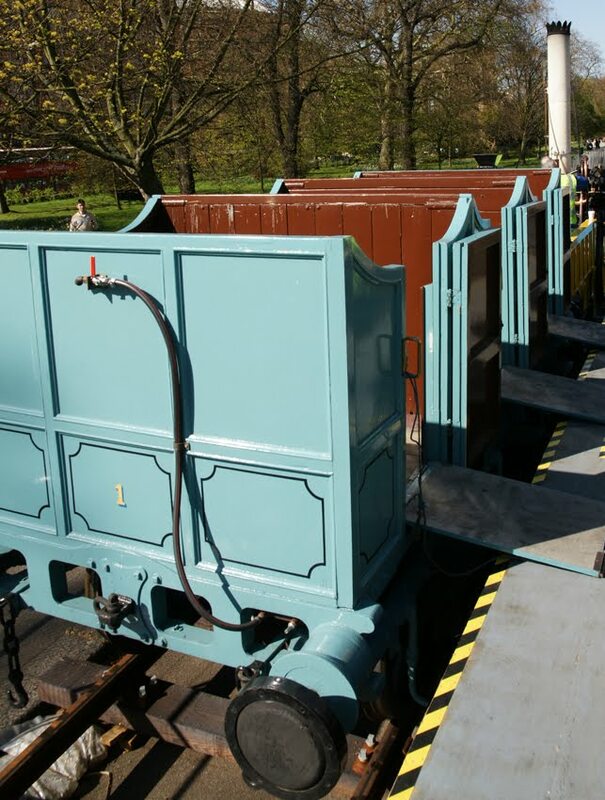 London Reconnections has heard that this is perhaps due to a software fault; one of their commenters suggests it could be to do with health and safety paperwork; but Adam Bienkov points out that there may be good political reasons for the delay too. Yesterday BBC's One Show looked at ghost signs with help from Sam Roberts, images from the archive, and a former signwriter. It's a great feature, and is available on iPlayer for the rest of the week. 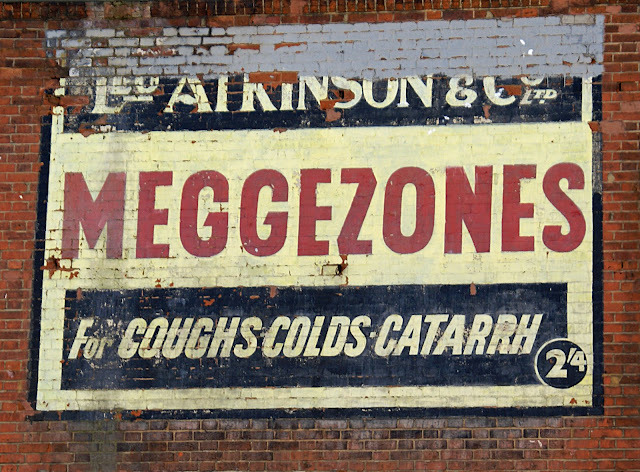 View it here: the ghost signs segment is at 13:15. Enjoy! I came across this church by chance when driving in Brittany's Trégor area: the Eglise Notre Dame de Miséricorde in the village of Runan. It's on the Place des Templiers, because the Knights Templar first built a chapel here in the twelfth century. When that fell into disrepair, it was replaced by the current building. 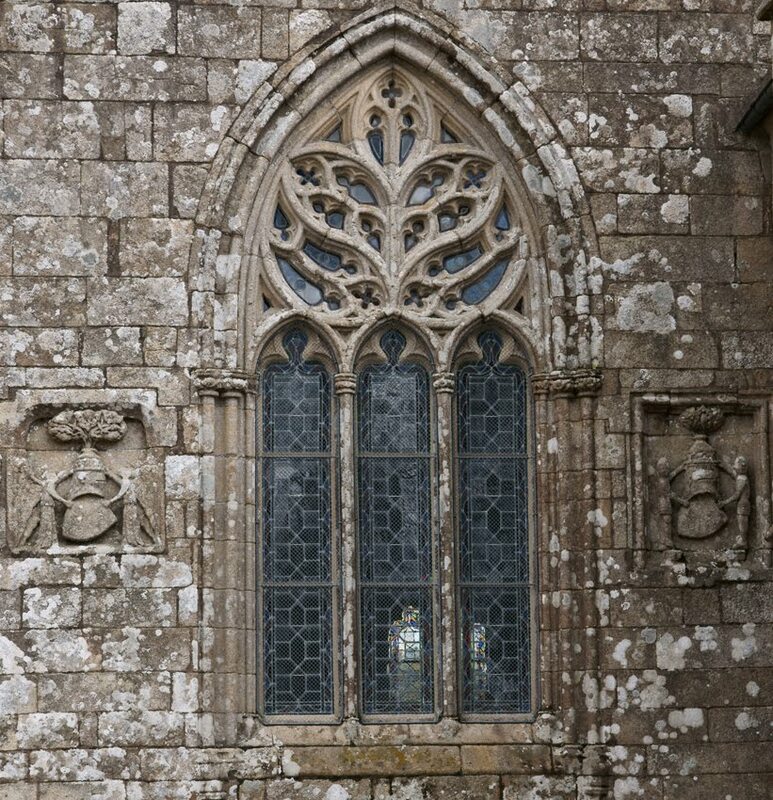 Dating from the 14th and 15 centuries, the church has preserved almost all its architectural details. 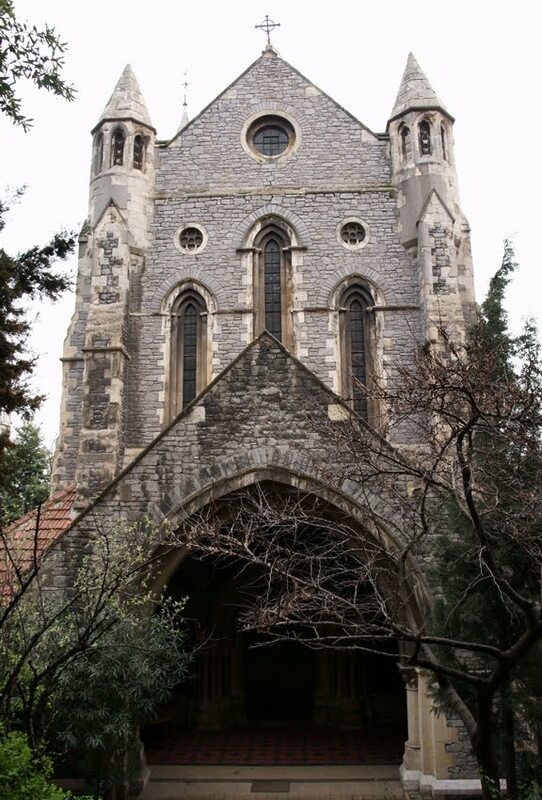 (The bell tower, though, is a later addition from 1822.) One relatively unusual feature is that the calvaire, the cross in the churchyard, has a base which doubles as an outdoor pulpit. However, the bas-reliefs on the facade really caught my eye. Legend has it that Our Lady of Runan performed a number of miracles including curing a man of paralysis, stopping a mill wheel to save a woman who had fallen in the stream, and calming a storm which threatened the ship in which a local priest was travelling on pilgrimage to Rome. 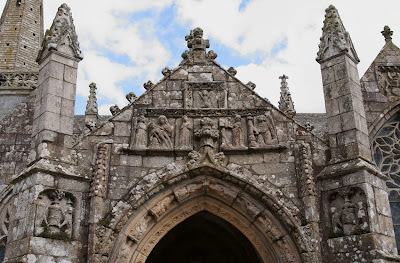 The church's patrons included the Dukes of Brittany and Anne de Bretagne; Saint Yves, patron saint of lawyers and of Brittany, was a visitor. Rats on ships were an unpleasant fact of life; they've even made their way into our language with phrases like 'the rats leaving the sinking ship'. This newspaper account of 29 September 1743 reports one rather drastic way of getting rid of them. There is nothing in the story to say whether the interested audience went on to adopt the method demonstrated. However, one imagines that the need to completely empty a ship, not to mention the risk of burning it along with its vermin, was enough to give pause for thought. Last Thursday an Experiment for destroying Vermin was tried on board the Squirrel Man of War, in Deptford Dock, before a great Number of Merchants and Owners of Ships; the Vessel was empty excepting Ballast, on which was laid a large Quantity of Brimstone, Straw, and other Combustibles, which being set on Fire, the Air-Holes were then immediately stopp’d, and soon after open’d again, when, on going into the Hold, they found upwards of 2000 Rats that had been suffocated in a few Minutes. 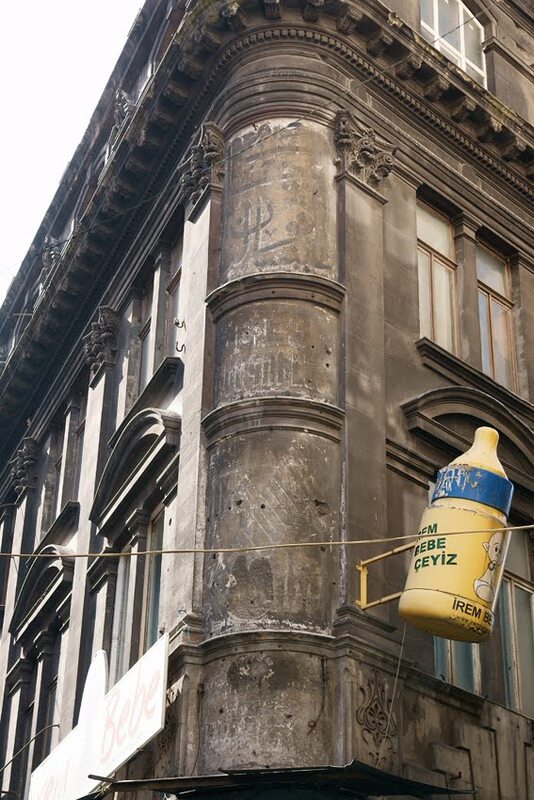 This was one of my favourite finds in Istanbul: a ghost sign, fading quietly into the background of a building near the Spice Bazaar. Most of us are familiar with the image of the Gorgon Medusa, her hair made of snakes and a gaze which turned men to stone. However, she also had a protective role, in which guise she can be found in Istanbul's Basilica Cistern. Istanbul, then Constantinople. spent a lot of time under siege so a good water supply was vital. Aqueducts brought it from the nearby Forest of Belgrade, and it was stored in huge underground cisterns from which it could be piped to fountains throughout the city. The largest of these underground reservoirs was the Basilica Cistern, which dates from the Emperor Justinian's rule in the sixth century. It is now accessible to visitors and a major tourist attraction. 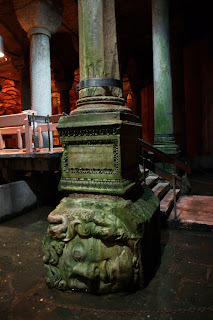 There are over 300 columns, some clearly borrowed from other structures: the Medusas fall into that category of reused stonework. 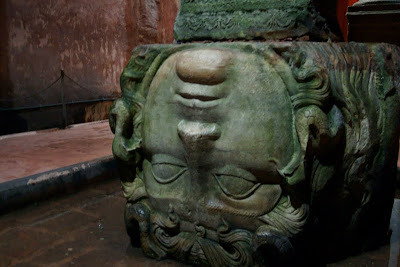 In its north-west corner are two Medusa's heads, one carefully placed on its side and the other upside-down. According to popular mythology, thus turning the heads ensured that they would avert evil rather than bring it. 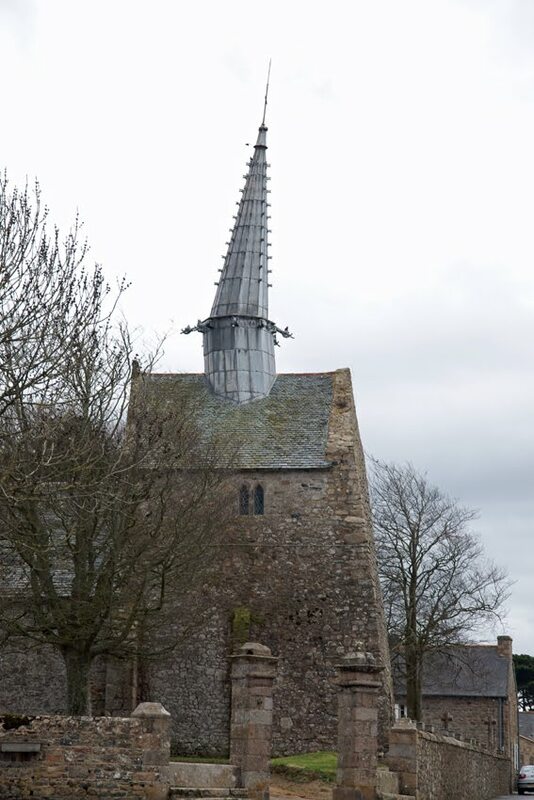 This chapel near Brittany's north coast is remarkable for its spire: the lower part leans in one direction, the upper part even more severely in another. Apparently it's the weight of the lead which originally caused the distortion: when the spire was added in the seventeenth century, it was simply too heavy for the much older base. 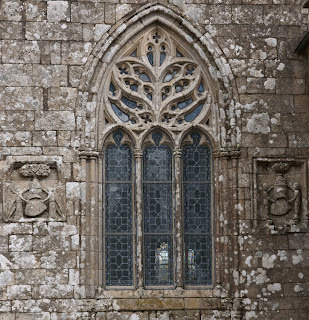 The villagers have become so attached to the unusual shape, though, that during restoration in the nineteenth century it was carefully preserved. 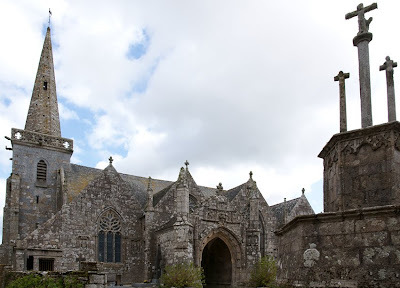 The chapel is dedicated to Saint Gonery, a British hermit who travelled over to Brittany to evangelise its inhabitants. He lived in profound solitude in the village during the sixth century; his tomb and relics remain there. It's also a war memorial. The architect was George Edmund Street, who also designed the law courts on the Strand. Now that I'm back online, I can belatedly share the fact that I've been away on holiday. I came across this fine Victorian church there: where was I?